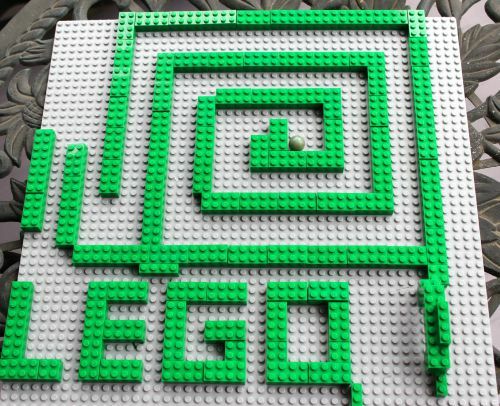 On our list of 100 summer activities, we had many Lego activities. My 11 year old nephew is a huge Lego fan so we decided to have a Lego day on his birthday. On Lego day of course I made Lego themed food. 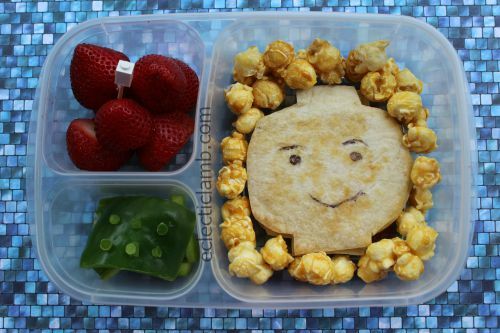 The birthday boy ate this mini-figure head quesadilla lunch. 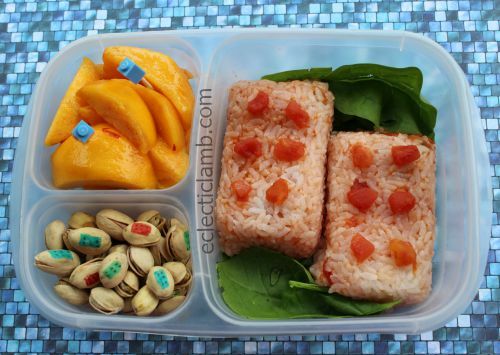 My pistachio loving nephew ate this Lego rice lunch. 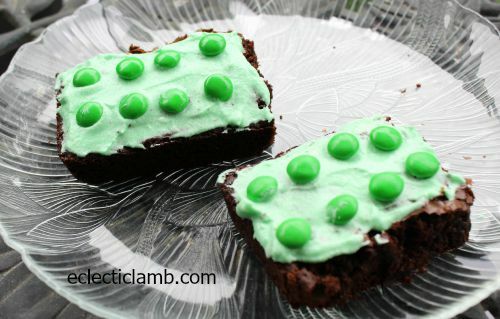 For dessert we made brownies and decorated them with green frosting and M&M’s to look like Lego bricks. My nephews had fun creating this Lego marble run maze and spent quite a bit of time playing with it. I found the idea here. 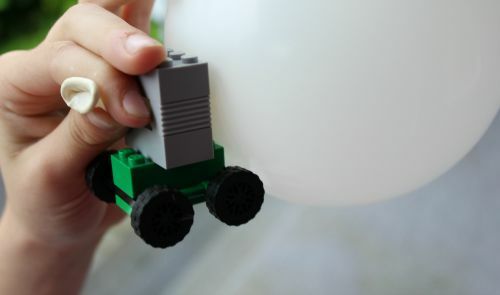 They each designed their own simple balloon powered Lego car. I found the idea here. I printed off this and created a scavenger hunt for my nephews. 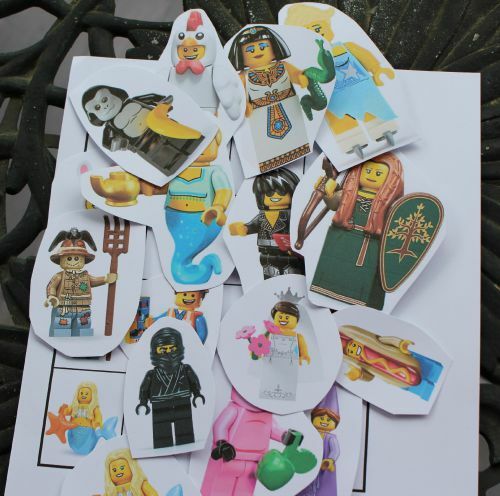 It was a rainy day so I hid the mini-figure print-outs around my house. Each boy had their own to find and when they were done I gave them small Lego sets to build. 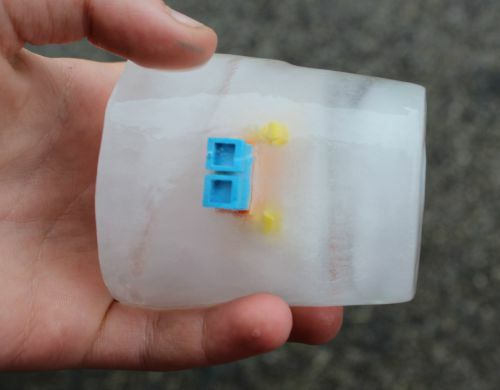 I think that playing with something embedded in ice is fun at any age so I froze mini-figures for each nephew. They had fun smashing the ice in my driveway. We went to our nearby (over 1 hour away) Lego store in preparation for Lego day. 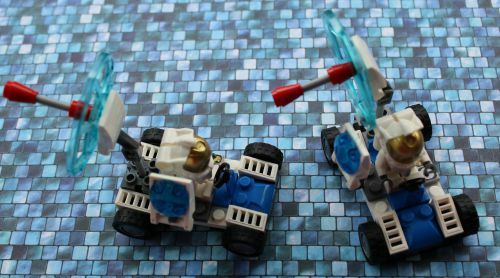 These Space men with vehicles were their special July giveaway after spending a certain amount of money. On Lego day I gave them these to build. I bought this set of birds for the three of us to build. 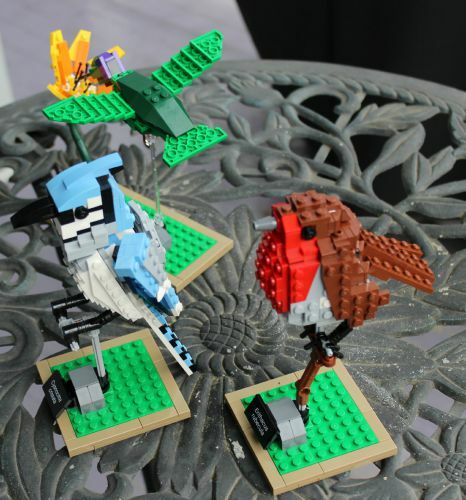 I did the Robin, the 11 year old nephew the Hummingbird, and the 13 year old nephew built the Blue-jay. They made fun of me that I took the longest but I was also distracted with other things. 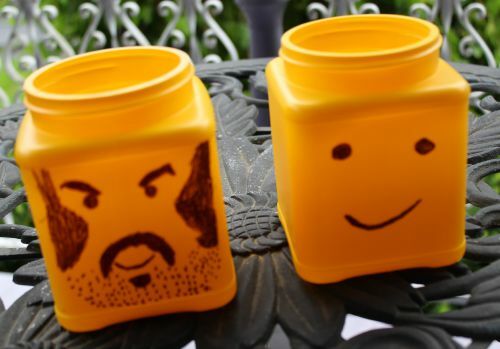 I found these directions to make our own mini-figure Lego head containers. I had also thought about painting a container but it was cheaper to buy the cornstarch. My nephews each decorated their own container. I think that we had a memorable Lego day but you never know what kids will end up remembering.